All are welcome to ice skate at Blue Cross RiverRink Winterfest. 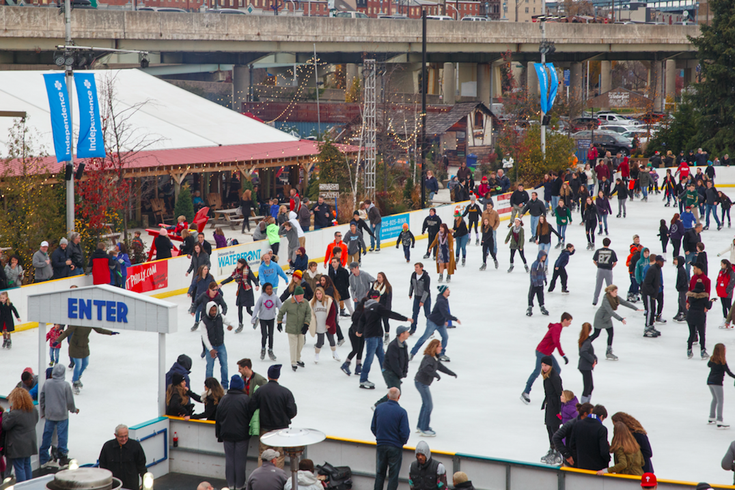 Blue Cross RiverRink Winterfest will host A Snowy Bowie Skate on Sunday, Jan. 14. The whole family can celebrate the Starman from noon to 5 p.m. Ice skate to a Bowie-themed soundtrack, watch "Labyrinth" in The Lodge, play games and transform into Ziggy Stardust through face paint. Admission to ice skate is $3. With skate rental, the fee is $13. Independence Blue Cross card holders receive a discount. The family-friendly fun ends at 5 p.m., but Bowie fans can party at the waterfront venue through midnight. Blue Cross RiverRink is now in its 24th year as an outdoor ice skating rink and fifth season as WinterFest.